The website of Mater Dei radio, based in Portland Oregon, has made available an interview with Fr. 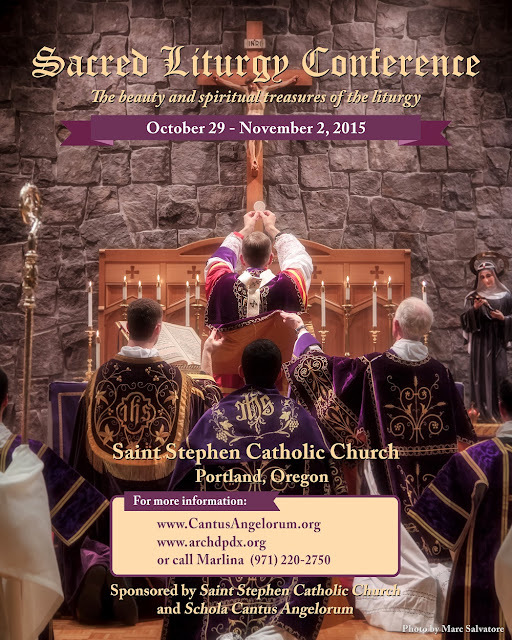 John Boyle, the pastor of St. Stephen parish in Portland, and with Dr. Lynne Bissonnette, the director of Schola Cantus Angelorum, in reference to the upcoming Sacred Liturgy Conference to be held next weekend at St Stephen’s. Click here to listen.